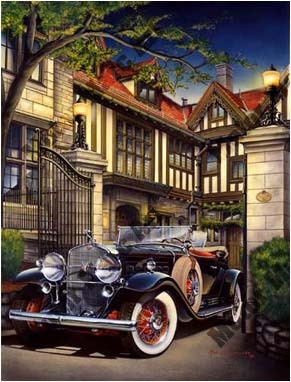 Media Size Choose an option18" x 26"25" X 36"
The classic architecture of this Manor creates the perfect backdrop for the graceful lines of this antique Cadillac. This nostalgic scene is a trip back in time to an era when automotive design combined elegance with engineering. 18" x 26", 25" X 36"